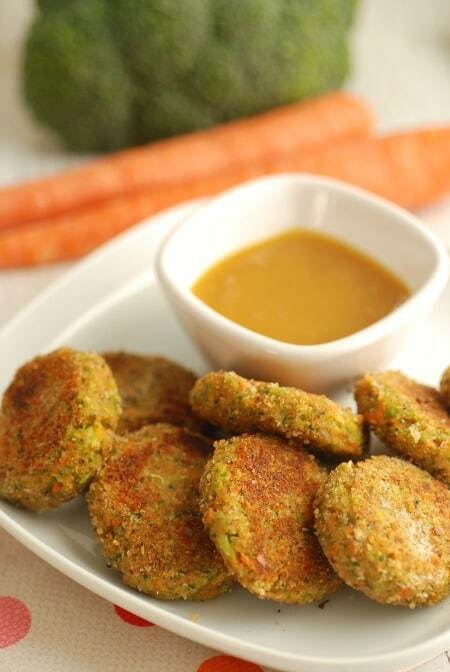 These Veggie Nuggets are healthy, kid friendly, and simple to make. Perfect for lunch boxes and snacks. Well, at least my kids do. 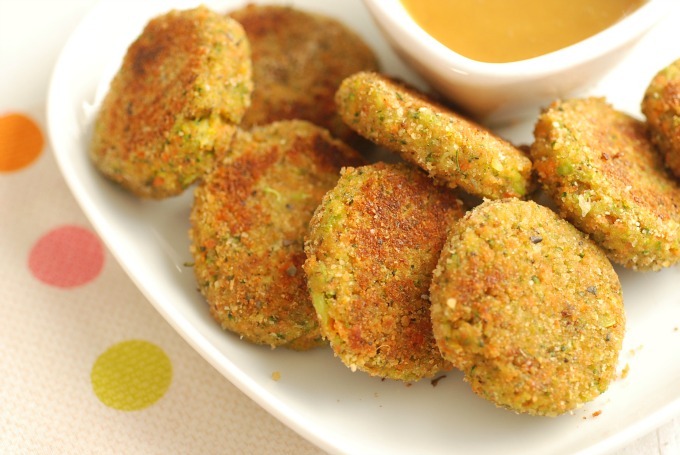 These Veggie Nuggets hit that trifeca of kid-friendliness. Because sometimes veggies can be a hard sell with the younger set. I’m not a fan of “hiding” veggies in other foods as the sole way of serving them–I think fresh veggies should be fixtures on the table too. But I AM a fan of trying all kinds of spins on preparing them. 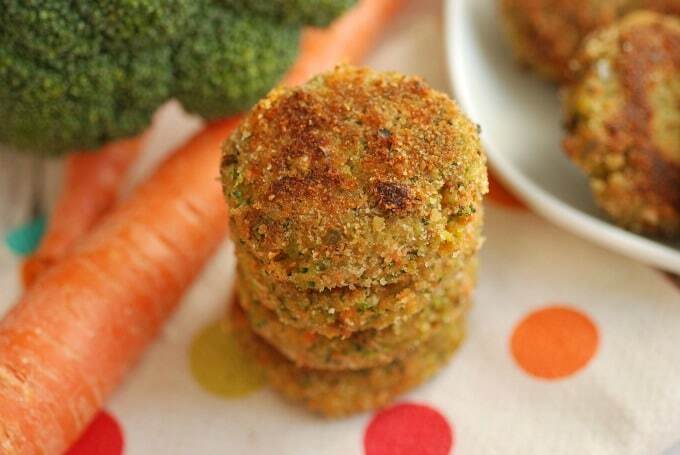 These Veggie Nuggets would be fun for snacks or meals or tucked into lunch boxes. You can serve them either warm or cold, with some ketchup or honey-mustard sauce on the side for dipping. The recipe is adapted from the blog Red Round or Green. You can see the original version here and get all of Bri’s recipes here. I’ll be honest: These nuggets were a bit polarizing in my household. I could eat them all the day long (and I prefer them cold). My younger son says they’re too spicy (leave out the black pepper if your kids are spice-averse too). His friend, who was over to play when I was making them, loved them so much I sent some home with him. Moral of the story: You won’t know until you try. If you make a batch of these, I hope you’ll let me know how YOUR kids like them! Shred carrots (I use my food processor's shredding attachment). Place shredded carrots, steamed broccoli, garlic, eggs, 1 cup of the breadcrumbs, cheese, onion powder, and black pepper in food processor and pulse for 15 seconds or until well combined. Mixture should form easily into a ball. If it's too crumbly, add water one teaspoon at a time until you achieve the desired consistency. Form mixture into balls, about a tablespoon each (I use a cookie scoop). You should get about 25 nuggets. Flatten slightly into round discs about 1/2-inch thick. Heat oil in a skillet on medium high heat until it sizzles when sprinkled with water droplets. Arrange nuggets in skillet and cook about 4 minutes each side, or until golden brown and crispy. They sound delicious but, of course, anything deep fried is delicious. But weren’t you one of the moms who complained when Texas schools decided to end the ban on deep fryers in cafeteria kitchens? Just because there are veggies inside doesn’t change the fact they are boiled in fat. Please explain your reasoning. Thanks! Molly–these aren’t deep fried. You use one tablespoon of oil for 25 nuggets. That works out to about 1.1 gram of fat per serving. Deep frying is when you submerge something in oil. lol yassss Sally clock ha! Hi Is there something else I can use besides egg for my son who is allergic to Egg? Hi Anna–I haven’t tried this so I can’t say if it works, but you could try using a flax egg (1 tablespoon ground flax seed + 3 tablespoons water–and allow to sit until thick) for each egg. If you try it please let me know how it turns out! You can maybe try applesauce! My son is also allergic to eggs. 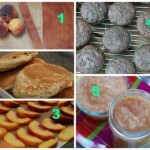 I often use applesauce, bananas, or flax eggs in baking recipes, but I have recently found a new favorite egg replacer! This will replace one egg. It’s easy to multiply. I have baked brownies, muffins, and cookies with this egg replacer and you would never know the recipe was altered. Alyson–thank you so much for sharing that! Sounds like it will be helpful to a lot of people looking for an egg substitute. I just made these (vegan style- no eggs) and used the flax egg. They held together fine but I’m not crazy about the taste. I think next time I would add onions. Make sure to drain and dry the broccoli really well. I found that cold broccoli worked even better. But fresh steamed made mine soggy too. Why not just use good oil? Avocado oil is healthy and has a high toxicity level. Totally safe for frying and doesn’t lose its nutritional value. And if it’s not fried at too low of a temperature, it won’t soak too much oil either. 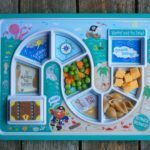 Great way to get Avocado nutrition into to picky eaters as well. Besides, kids don’t usually have collesterol problems. I’d be more concerned with eating out regularly or deep fried chicken and fries or pizza which is high in processed ingredients. This really does sound like a great recipe. I baked them at 400 degrees for 20 minuets and flipped doing another 10 on the other side and they came out great! No oil but not supper crispy as a result. I’m going to make these tonight and cook them in a skillet without oil. We will see how it goes! Do you think these could be baked? Julie–yes! Check out Bri’s original recipe (link in the post), which calls for baking. I’m also interested to hear your thoughts on various cooking and baking oils. We switched to canola oil years ago after reading somewhere that it’s the better option, but I’ve also recently seen articles decrying it. I don’t have time to do all the proper research myself, and so many articles are biased or polarized or extreme (as I find to be the case with many things related to nutrition, parenting, and politics…) so I’m curious what your opinions are, as an informed expert. Thanks in advance! Julie–In terms of health, canola oil has a nice fat profile because it’s rich in monounsaturated fats. It also has a pretty neutral flavor and can withstand high heat, so it’s pretty versatile for cooking. The concern some people have with canola oil is that most of the crop is genetically modified. I’m guessing that what you’ve heard in terms of negative press. I use several different kinds of oil, but olive and canola are my two favorite. If you want to use canola oil but don’t want GMOs, you can look for canola oil that is non-GMO verified. Sally, canola oil is rich in omega-3 fatty acids too. It has more this healthy fatty acids than olive oil. But when you use it for cooking or baking, most of them are destroyed. Of course it’s not dangerous for health, but maybe that’s why some people don’t recommend canola oil for cooking. It’s worth trying unrefined canola oil raw, with salad or something. However, remember that for cooking you need to use refined oil. Can oil really be fattening? I heard someone say olive oil and cooking oil have calories and if you put oil on your salad it is like pouring sugar on it. That’s not true is it? I love oil and I eat a lot of it on everything and I cook everything with oil and I do have trouble controlling my weight. I wonder if I am using the wrong oil or what. They look great and fun! Sorry how much panko…1 1/4?? 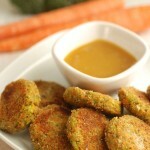 You use 1 cup of seasoned breadcrumbs in the nuggets and then 1/4 cup to coat them before pan-frying. Sally, this recipe looks great. Because I am trying to follow a vegan diet (and am trying to get my cholesterol level back to about 138 where it was 3 years ago when I was exercising more! ), I’d like to find a way to make these without cheese and eggs. I know this request may be unrealistic, but do you have any suggestions? Hi Michele–I have not tested it with this, but you could substitute a mixture of ground flaxseed (1 tablespoon) and water (3 tablespoons). You could also try non-dairy cheese as a substitute. If you try this, let me know how it goes! I found the mixture to be somewhat runny and difficult to form. I think there was too much water left in the broccoli after steaming. Next time I will pat the broccoli dry or add more bread crumbs. Both the munchkin and husband liked them a lot. Amy–Helpful to know. Glad they were a hit! Is it best to use fresh or dried breadcrumbs? Hi Emma–I’ve only used dried. You could try fresh, though it may add more moisture and make them harder to form into nuggets. I just found this recipe, and will try it with my two (3 &1) but I’m looking for a way to add some protein. Do you think you could add some chickpeas to the food pro as well and have it blend right into the mix? I haven’t tested it using that, but please let me know how it turns out if you do! I added half a can of chickpeas to the recipe and my 2 year old gobbled them up! Such a life saver as she doesn’t eat meat or chicken and is becoming very picky about her veggies. Thanks for the recipe! Hi Nicole–I have not tested it with this, but you could substitute a mixture of ground flaxseed (1 tablespoon) and water (3 tablespoons) for the egg. Do these freeze well? I just made them tonight but am afraid my one little one won’t eat them fast enough. Has anyone tried that? Hi Katie–I haven’t tried freezing them but think they would do fine. I would also feel comfortable keeping them in the refrigerator for 3-5 days. Oh my. My 1 year old has been boycotting all veggies lately (… or really anything other than cheese), so I thought I’d try these. They are delicious! My husband and I kept eating them up as they came out of the pan. Best news – my daughter loved them too! I think they could even make a nice app for our next dinner party. Thanks! These nuggets are AWESOME! I made them thinking my 18 month old daughter MIGHT try them and although she wasn’t ready to, my husband and I loved them! We topped them with sliced avocado and they were delightful! Thanks for posting this recipe! Lucy–So glad you like them! And I’m sure your daughter will try them eventually too. Looking forward to trying this recipe for my 3 little ones! Do you think these would freeze well? I thought about double the recipe and freezing a batch so I have some on hand if they like them. Have you tried this at all? YES!! I made these broccoli nuggets in the pan as the recipe calls for. Then I placed them in ziplock bags and placed the bags in a tupperware. Then I place 4-5 nuggets on a microwave safe plate and heat for 1:30 uncovered. Now you can make an entire bag at the beginning of the month rather than buying frozen nuggets. That’s great info, Nat. Thank you! I made these for my 1.5 year old and she absolutely LOVES them! The only thing I did different was bake them, they turned out great and taste delicious! I alsp lovw the fact that I can freeze these and pop them in the oven for a quick dinner or in todays case – lunch! I cannot wait to try more of ypur recipes. Thank you for making healthy so easy and delicious! I’m sorry I don’t, though you could try dairy-free cheese. Oh my gosh, these are so good! My husband and I had to hold back so there’d be some for our one year old who also loved them! I used a package of frozen mixed veggies and added about 1/4 cup chic peas. Could I have your permission to share a modified version on my (soon-to-launch) blog? I would certainly include a link back to your original recipe. No worries if you’d rather I didn’t post. 🙂 Thanks so much for sharing! I’m excited to try these. My one year old barely has any teeth so find soft foods yet healthy can be hard for us and she won’t touch steamed broccoli or carrots but she’ll eat the “earths best” brocoli nuggets but I’m not fond of paying 4.50 for a tiny box of them. These seem like they’ll be just as good or better. Have you ever frozen these by chance? If so do they freeze and reheat well? I have not frozen them but I assume they would freeze just fine. Wondering if anyone has made these and frozen them? I need to make up stuff that I can keep on hand for my son. Going back to work in 2 months and I will be home latish and want to have food I can just put together on the fly. Thanks! Great recipe! I didn’t have enough broccoli so substituted with 1 cup of grated zucchini (rested with salt sprinkled over and liquid squeezed out). I also added a handful of chickpeas to the mix. Beautiful. We had them with pesto and cranberry sauce for dipping (my kids have found a love for cranberry sauce on anything crumbed…at least lots of veggies in there). It has been extremely difficult to get my daughter to eat veggies. PRAISE GOD for this recipe! I made a batch and she ate 10 of them!!! I couldn’t believe it! Can you make these and then freeze them? How long would they last in the fridge and also the freezer? They look great. Perfect for lunchbox. Can we do prep work the night before, refrigerate and fry them in the morning? Can they be frozen as well? Please post more ideas like this. I am looking fo vegan stuff like this that I can send in my kid’s lunchbox. I definitely want to make these! If you bake them, do you think it’s okay to freeze them? Riana–I haven’t tried freezing them yet but I would think they would freeze just fine. Made this last night for my son who dislikes veggies! It turned out delicious as all the adults enjoyed it! My boy however said it tastes rotten ! Got to keep on trying! Thanks for this lovely recipe! Has anyone eliminated the cheese and added chickpeas? My little has a dairy allergy. Thanks! Cristen–Let me know if you end up trying that! These are terrific! They are messy when forming the nuggets and coating in the breadcrumbs but so totally worth it! I used a frozen box of chopped broccali and steamed it briefly on the stove. I hope my kids like these as much as I do! Thanks so very much for sharing! My daughter is gluten free so I make this with the according bread crumbs. The problem I get every time is they fall apart. Nothing I do seems to stop it. Any tips? Thank you! I tried this recipe yesterday. I must have done something wrong, but I’m not sure what. The mixture came out very creamy and was impossible to form into balls. I had the hardest time blending it together. Maybe I don’t have the right kind of food processor? Hi Kelly–I wonder if maybe you over-processed it and it turned into sort of a paste. I know I’ve definitely done that with pie crust–over-processed it until it turns into mush. I hope you’ll give it another try! I haven’t tried any substitutions for the cheese, but if you try something please let me know how it turns out. Loooove this recipe! My family already digs veggies but this feels like a super fun snack/side/lunch/all the time food. Pinned! Can you explain “seasoned bread crumbs- divided”? Do we get seasoned breadcrumbs in store? If not, what seasoning do I need to add and to what type of breadcrumbs (Panko etc.?). Also, what does divided mean? Seasoned breadcrumbs are breadcrumbs with seasoning and they will be labeled that way in the store. You could also buy plain breadcrumbs. Personally I think these nuggets are super flavorful and could probably be made with plain breadcrumbs and still be yummy. “Divided” in a recipe just means that you will use part of it during one step of the recipe and part of it in another step. These are often requested at my home. My boyfriend loves these and so does my room mate. We like to dip ours in Sriracha Mayo and my boyfriend dips his in Ranch (his fave condiment). I love making them since they are easy and quick and I usually have all of the ingredients on hand. Thank you so much for sharing!!!! Hi! This recipe sounds great for my picky 2.5 yr old. I recently bought riced broccoli at Trader Joe’s, and was wondering how many cups of broccoli you have once it’s been pulsed in the processor. As the recipe calls for 3 cups of florets, would this be the same as 3 cups of riced broccoli? I don’t want to botch the ratios. Thanks! Hi Bethany–I’ve never measured it out once it’s pulsed but would imagine you would use less riced broccoli since it’s more compact/condensed than broccoli florets. You want a consistency that forms easily into a ball, so if you want to try the riced broccoli I would start with perhaps two cups and see what texture you get–you can always add more broccoli if the mixture needs to be bulked up a bit. Hope that helps! I made these tonight for my husband whose comment is usually: “Where’s the meat?” And he loved them! Never complained about no meat. I sliced up a couple sweet potatoes and baked them (fries) as a side. I just made these and they turned out well. 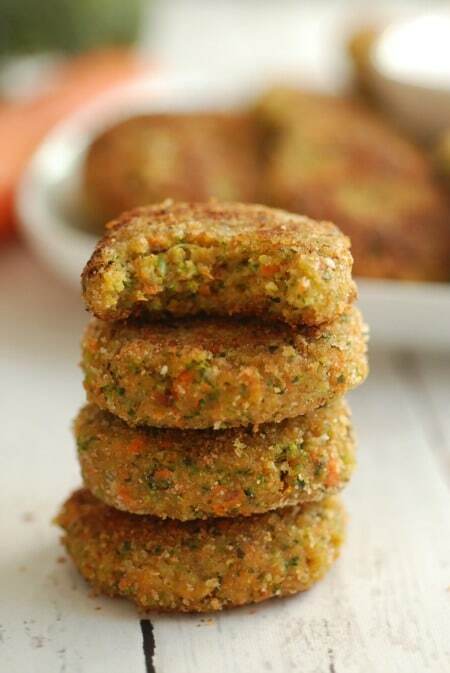 They definitely are not like nuggets, but more like veggie patties. I decided to bake mine and they turned out great! 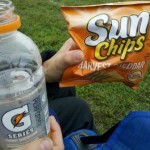 They had a nice little crisp. I baked them at 400 degrees for 15 minutes, then flipped them and baked another 10 minutes. Honestly, you could probably get away with 10 minutes a side. Regardless, they turned out very well! Thank you for sharing! I follow Bright Line Eating, which means no flour products. Any suggestions for replacing the breadcrumbs in the recipe? I would use crushed dried chickpeas on the outside, but I’m curious if anyone has a suggestion for replacing the breadcrumbs in it, as they operate as a binder in that capacity. HI! The recipe says 1 1/4 seasoned bread crumbs. Is this 1 1/4 c or Tbsp? Hi Ann–Sorry about that. I just changed the formatting on all my recipes and it looks like all the measurements didn’t transfer over. It’s cups and I’ve corrected that. Thank you for letting me know and hope you like them! The recipe is pretty big for just her though. I’m wondering if it would do well in the freezer? Or if I should cook first, then freeze? I would cook them first, then freeze them. If anyone is interested, I made these in my air fryer (Go Wise). I cooked them at 390 for 8 minutes and flipped them halfway through. They were delicious. Hi I was curious if I can freeze them ? These were sooooooo delicious! My kids won’t try them because they are 4 and it is really hard to get them to try new things. I will keep making them though because even if they don’t eat them…I do! Shew, labor of love! Mine didn’t look as pretty as yours but they were tasty and my 10 year old enjoyed them. Wouldn’t make as a weekday meal unless they were made ahead of time. Very glad to feed my family a vegetable filled entree. Note this recipe makes about a dozen so plan accordingly. Did anybody try to do in a air fryer? I make nuggets and they come out great, I wonder if these would work as well? I know there are many different diet types that can be healthy for different individuals, however, Canola oil is something no one should consume, across any diet. The method used to extract the oil and then to remove the rancid smell, makes it super toxic. Otherwise its a good recipe. My 2 year old loved these, even after baking them. 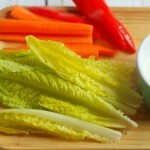 She only likes a few recipes that utilize vegetables, so I am super happy to have come across this one. I would love to be able not to hide veggies from my kid, but the reality is different. i’ll definitely try these. They seem like they might work.